Dr Rhonda Lee began her journey into medicine with the simple aim to help people experiencing disease and illness back to full health. During her practice in hospital and as a GP she treated a variety of illnesses and diseases but realised that this task was not as simple as she had originally anticipated. Instead the aim to achieve good health and well-being was a much more complex requiring more than just medical knowledge. Her education had trained her to be a doctor which taught her how she could greatly benefit patients in many areas. Sadly, she also discovered how little it had to offer patients living with chronic conditions or palliative needs. In the case of back pain and injuries the long term use of pain medication in many cases was detrimental to the individual’s overall health due to side effects from the drugs. She observed how patients were treated as a ‘disease’ rather than a ‘person’, and the inconsistency of doctor’s practicing the ‘Art of healing’. Specifically, the little consideration for quality of life and the person’s inner suffering. This started her exploration and journey to find other ways that could be used to help and heal beyond just the confines of pharmaceutical drugs. From 1995 the next phase to truly understand what ‘health and healing’ meant. It led to her training in acupuncture and aromatherapy. She gained considerable experience working and lecturing in the private, voluntary and academic sector in a variety of roles including, clinical director,lead practitioner, lecturer/trainer at an under and post graduate level and researcher in areas of chronic, complex and palliative care using both complementry and integrated medicine approaches. She gained in-depth knowledge and experience on a wide range of therapies and how they could be used most effectively. 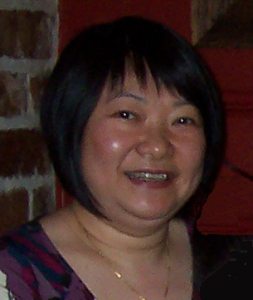 Her expertise was further enhanced through other training in Reiki, CBT and NES Health. Dr Lee is has been fortunate enough to work with the ‘Prince’s Foundation of Integrated Health’, represent the UK and speak at various at international complementary therapy conferences, as well as help to develop and launch the Children’s Complementary Therapy Network (UK). Time spent in research led her to further explore the benefits of complementary therapies and work with UK Universities and NHS Trusts. The impact of modern living, changes to our environment and their links to disease and ill health spurred her on to complete a Masters in Public Health, Nutrition study and Mindfulness practice. Collectively, her practice has been guided by more than 20 yrs of keen observation, learning and practice which helps her to constantly review and guide her work today.